Button, button, Who's got the button? 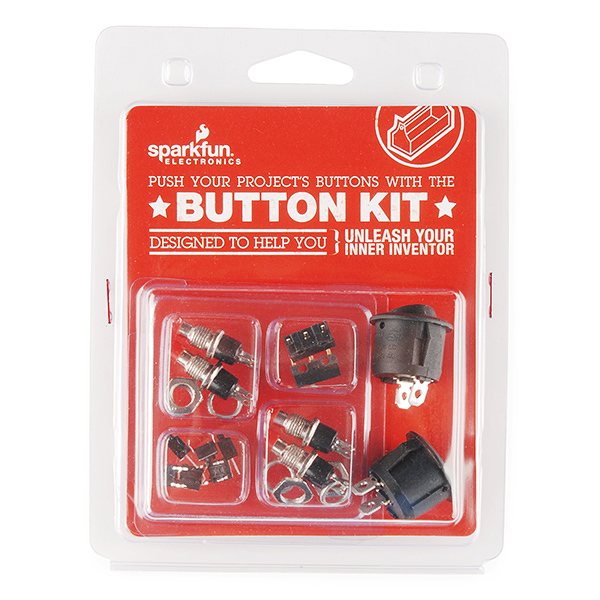 You do... if you have our Button Kit on hand! 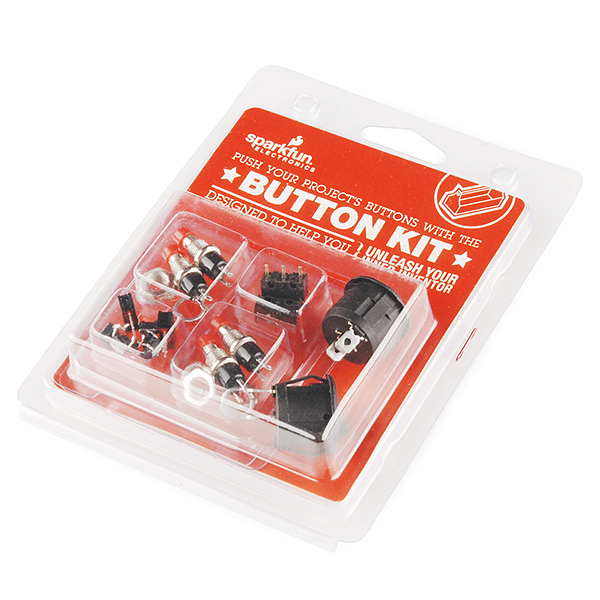 This collection of common buttons and switches will ensure that you've got the right button for the job. 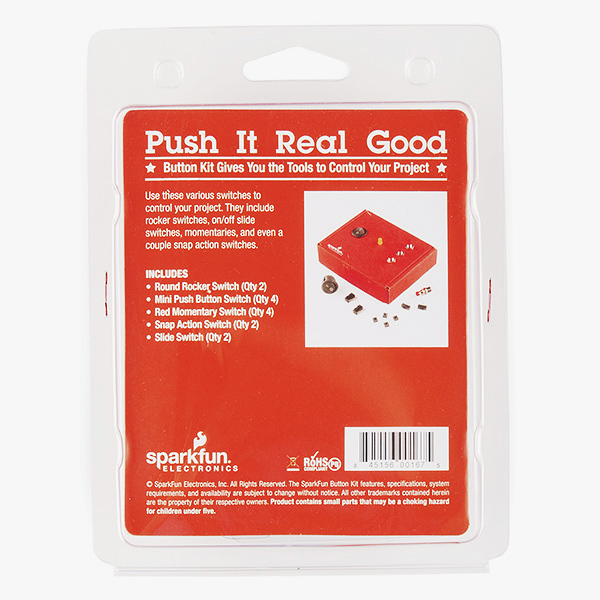 There are 14 switches total of 5 different varieties that we use in projects every day here at SparkFun.